Keep up to date with the ever changing NFPA 70E standards by attending the NFPA 70E Arc Flash Training courses provided by Electrical Safety Specialists. These courses will cover the complex standards and regulations per The Occupational Safety and Health Administration (OSHA) and NFPA 70E. Electrical Safety Specialists NFPA 70E Arc Flash training is offered in 4-hour, 8-hour and Qualified Electrical Worker (QEW) trainings. The course begins with positive electrical safety culture, including why a little knowledge is a dangerous thing, the evolution of the electrical worker, and the ever-present danger of electricity. The four-hour NFPA 70E Arc Flash Training would be well suited for introductory to the NFPA 70E. Participants would include qualified and unqualified persons. The eight-hour NFPA 70E Arc Flash Training would be a more in depth understanding of the necessary requirements of the NFPA 70E and what steps need to be taken to stay compliant with OSHA and the NFPA 70E. Participants would include management, qualified, and unqualified persons. The Qualified Electrical Worker (QEW) will consist of the 8-hour NFPA 70E class room training with written exam, combined with hands-on practical exams. Each attendee will receive full documentation which will be sufficient to deem an employee qualified. Participants would include management and personnel working on or near energized electrical equipment. Employees must be retrained at least once every three years in safe work practices and in any changes to the NFPA 70E standard. Retraining is also required after discrepancies are discovered during annual audits of employees performance, when new equipment has been added or after a temporary change in job duties. Although OSHA will issue citations for failure to properly train employees, this shouldn’t be a prime motivator when developing an electrical safety training program. NFPA 70E Arc Flash Training protects employees from injuries, creates a positive workplace and builds a culture of safety within the company. 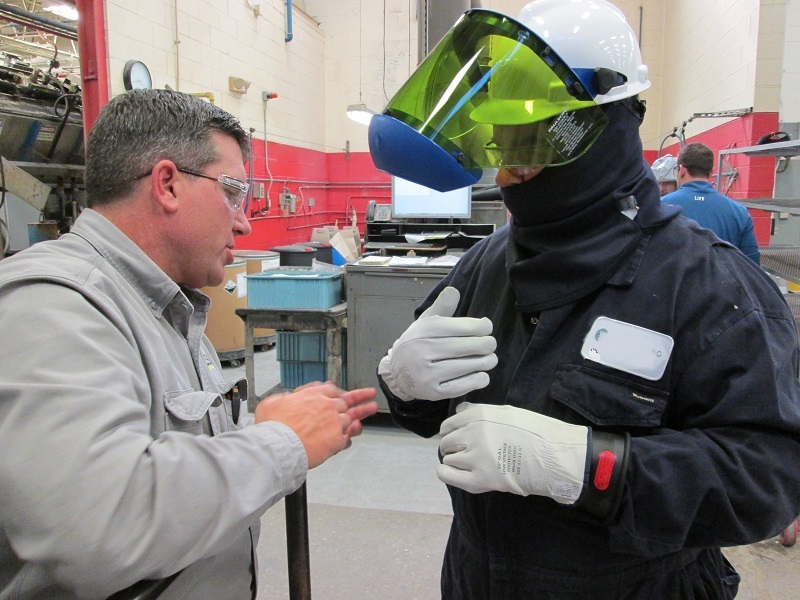 The class also thoroughly covers shock hazards, like shock boundaries, shock protection, and the requirement for shock hazard analysis; when insulated tools and equipment are required; the dynamics of arc flash and arc blast; meter safety; and much more. Electrical Safety Specialists built a team of professionals to provide the highest quality of service available and recognizes the fact that each skill-set requires a lifetime of commitment. For more information on NFPA 70E Arc Flash Training, contact ESS at (816) 925-0443 or email info@arcflashpro.com.